Four years ago I started writing a book: a biography of the seventeenth-century ironmonger, preacher, bookseller, pamphleteer and newsbook editor Henry Walker. I had done most of the research, and finished writing up the early chapters (the first three are now on my academia.edu page, if you want to read them). And then real life intervened, and I ground to a halt, and the book has sat unfinished on my hard drive for two years. My resolution this year is to start writing it again. To help me stick to that resolution, I am going to try blogging about my progress. Every week from now on, I will aim to post an update about how I am getting on. It might be a summary of what I’ve done that week, it might focus on a particular source I’m working on, a particular text or protagonist I’m researching, or it might just be an excuse for why I haven’t done anything. But I will try to post something every week or so, even if it’s just a paragraph or two. This first post is about beginnings and ends. How does one start – or in my case, re-start – the process of writing a book? 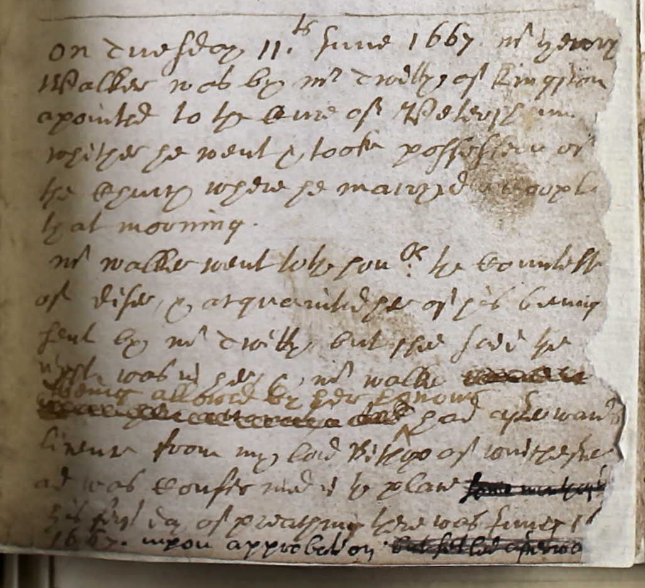 Four years ago I did it according to the textbook: planning and plotting out each chapter based on my research, and then starting at the beginning of Walker’s life with his baptism in All Saints, Derby on 1 March 1612. I got as far as 1641 before I stopped. Returning to the draft, though, I have had to confront an enormous mental block about picking up where I left off. 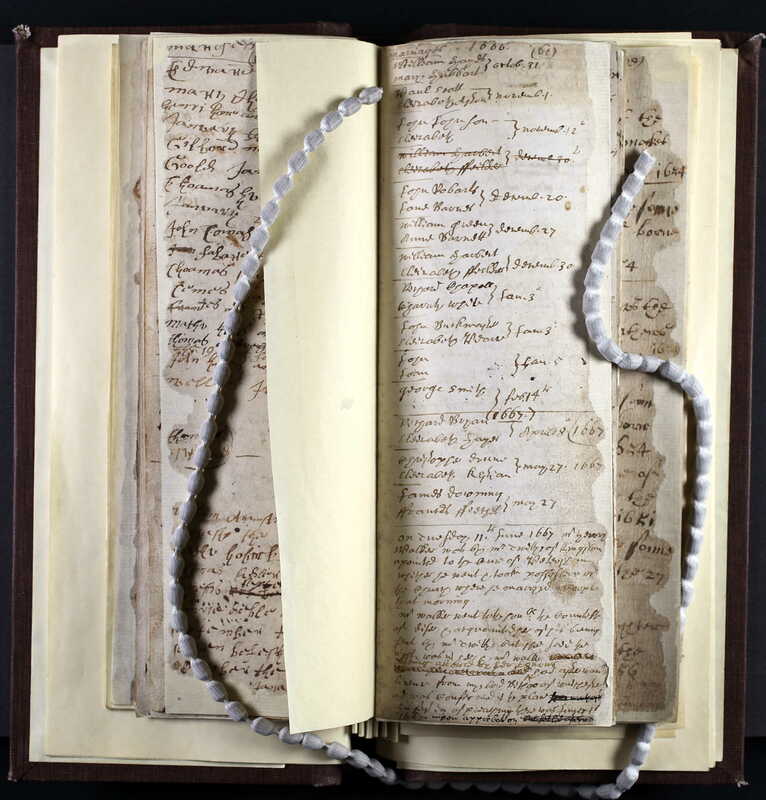 Nobody really knew much about Walker’s life before the 1640s before I started researching him: the most that had been found was records of his time as an apprentice ironmonger in the late 1620s and early 1630s. I have found a lot more, but inevitably there are gaps that I have had to fill in through educated guesses and speculation. Writing up Walker’s early life, I didn’t have existing accounts to consider or react against. From 1641 onwards, however, Walker starts selling and publishing pamphlets, and becomes much more visible in the historical record. Many historians, from the the early twentieth century onwards, have written about Walker’s career from the outbreak of the civil war and onwards. So picking up the draft chronologically where I’ve left off feels quite daunting – stepping into well-trodden ground where there is huge amounts of primary source material that has been picked over in secondary sources. Not having written anything for two years, I’ve found it hard to dive straight back in just at the point where it is hardest to say something new or original. 1667 – appointed curate of Petersham chapel. 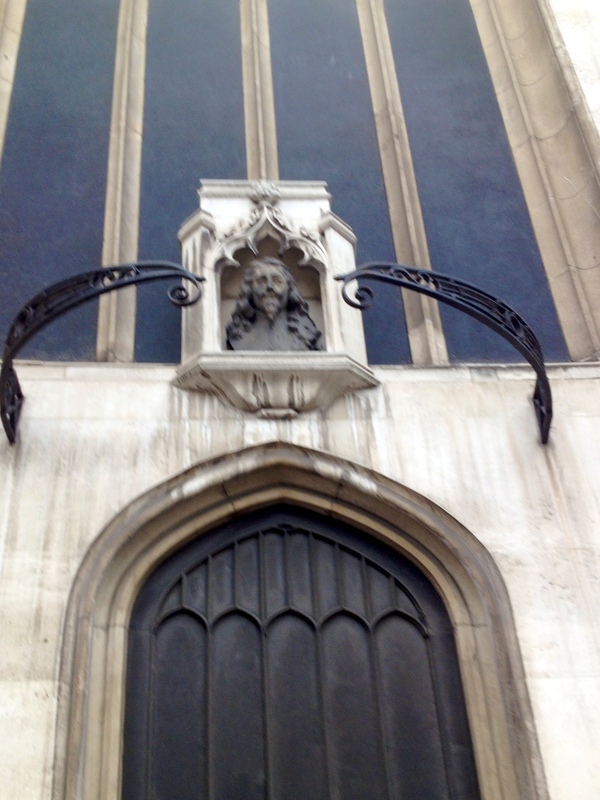 1671 – Henry’s wife, Mary, dies and is taken back to St Giles Cripplegate (where they had first lived when married) to be buried. 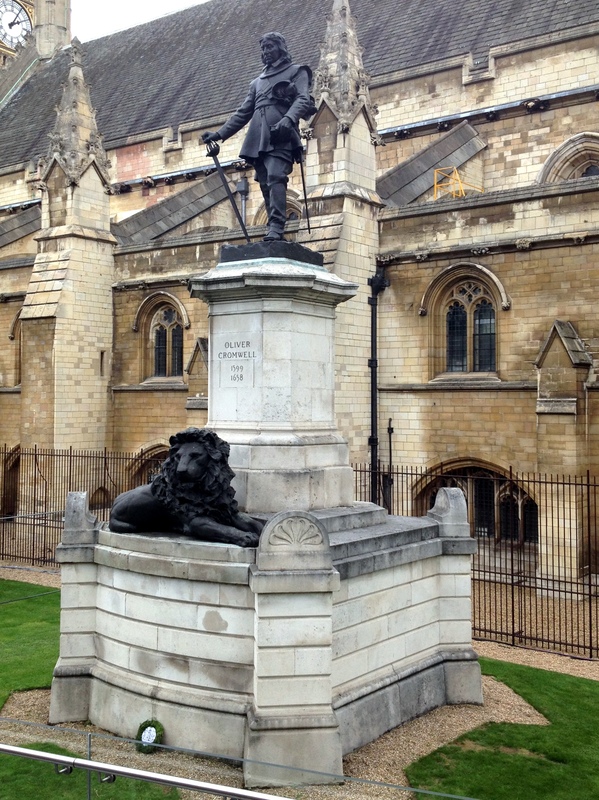 1674/75 – is warden of the yeomanry of the Ironmongers’ Company. 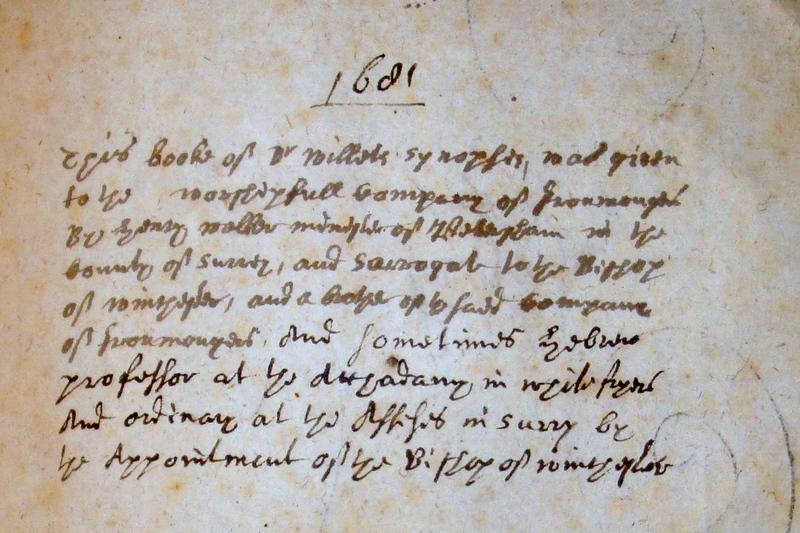 1681 – gives a copy of Andrew Willet’s Synopsis Papismi (1634) to the Ironmongers’ Company. 1687 – dies of the stone and is buried in St Giles Cripplegate. If I was updating Walker’s entry in the ODNB I would simply list these events, and that would be that. But that is hardly enough for a chapter in a full biography that is meant to be an epilogue to Walker’s life. So I am having to resort to other means to fill in the blanks – by reading the parish registers to get a sense of the rhythm of Walker’s job, by reading the court book for the Ironmongers’ Company to see what dinners he attended and when he was fined for non-attendance, and by reconstructing what his grown-up daughters were doing by this point from mentions in his will. None of it quite adds up to a substantive chapter, at least not compared to what I will end up writing about Walker’s career in the 1640s and 1650s. At best it is a process of writing someone’s life by reconstructing the milieu in which they lived and hoping it leaves a subject-shaped gap; at worst it is simple speculation. But it does give me a gentler way in to re-starting the process of writing, with some small, manageable chunks of drafting that aren’t too scary. So I am beginning at the end, hoping that the act of going backwards is what will ultimately send me in the right direction.